Monrovia High School is a public high school located in the northeastern Los Angeles suburb of Monrovia. The campus was established in 1893 against the foot of the San Gabriel Mountains among hundred year old oak trees. 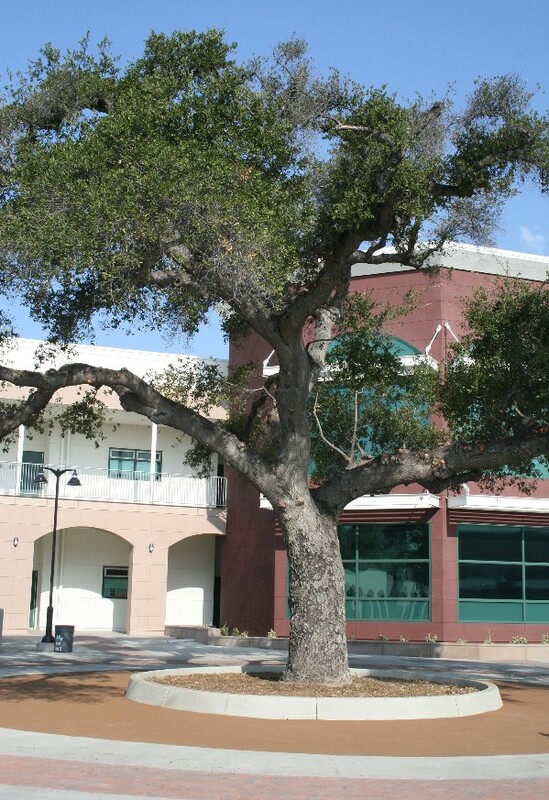 Beginning in 2006, Monrovia High School underwent an extensive renovation with a main concern being the preservation of the large, old oak trees on campus. The oak trees have been in place for hundreds of years and were lifting and cracking the cement surface, creating a liability and potential danger. In order to preserve the trees and help them thrive in their existing location, Rubberway Treewells were the answer. The Rubberway Treewell system is flexible and pervious, allowing water to penetrate the surface and reach the tree roots, providing nourishment below ground and eliminating root lift. By implementing this flexible, pervious tree well system, Monrovia High School has not only beautified its campus and preserved the beautiful oak trees, but has also made the surface safer for everyone.